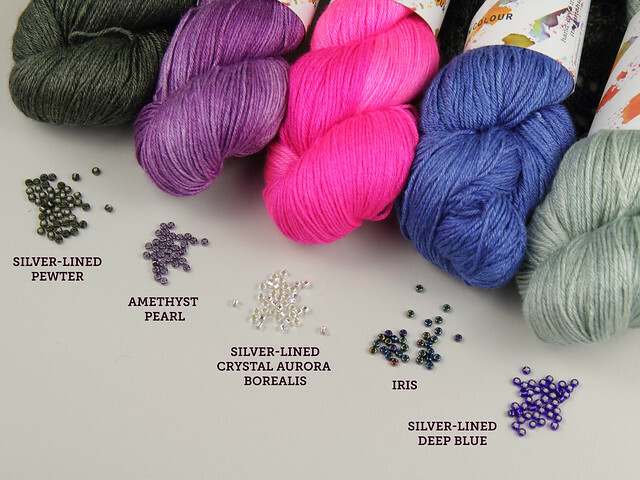 Crystalline is our latest knitting pattern; a beaded shawl or in textured, geometric, all-over lace designed for our Brilliance 4 Ply wool/silk yarn. 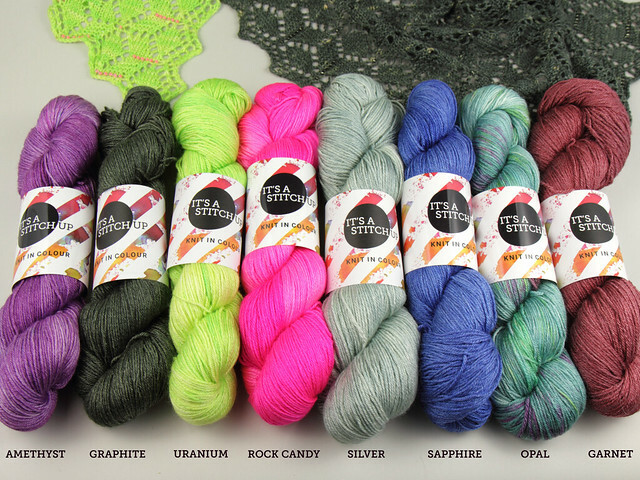 It’s now available as a knitting kit complete with Japanese knitting beads, in a choice of colours. 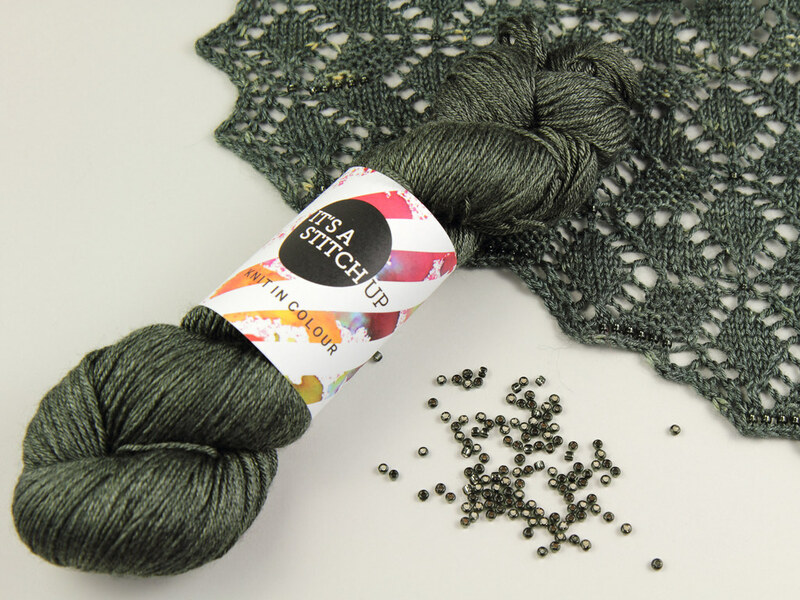 Based on a classic tumbling blocks motif, this original lace design uses beading and garter stitch to pick out the detail. It features a staggered cast-on and cast off and diamond-shaped edging. 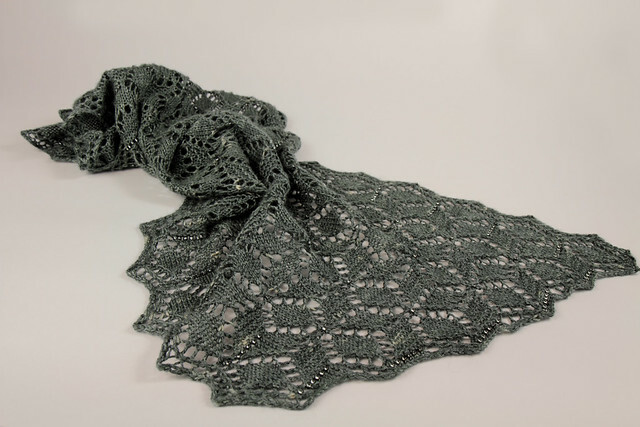 The pattern is suitable for knitters with experience of lace knitting and knitting from charts (though written instructions are also given). Beads are applied using the crochet hook method (instructions given). 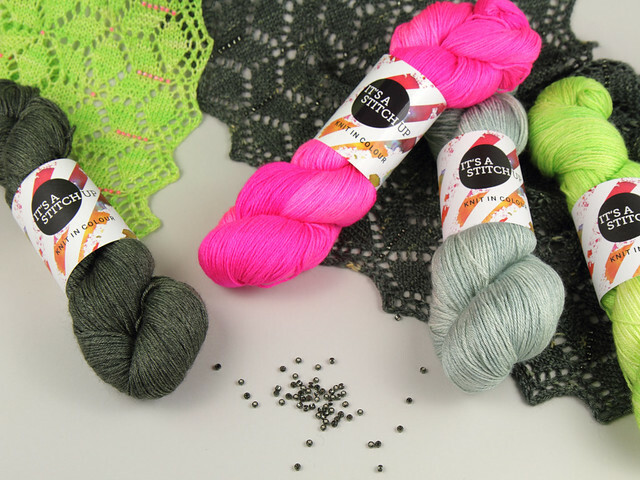 If knitting Size 3 you will need to purchase an additional skein of Brilliance 4 Ply.